I have encountered the issue that when you add on cars such as addon cars, the modifications dont work, even when you change the numbers in the .META files, can you fix this please? Nothing is broken here, this works perfectly and as expected. How do you get modifications to work serverside for addon vehicles? You need to stream the actual ‘modifications’, also btw. 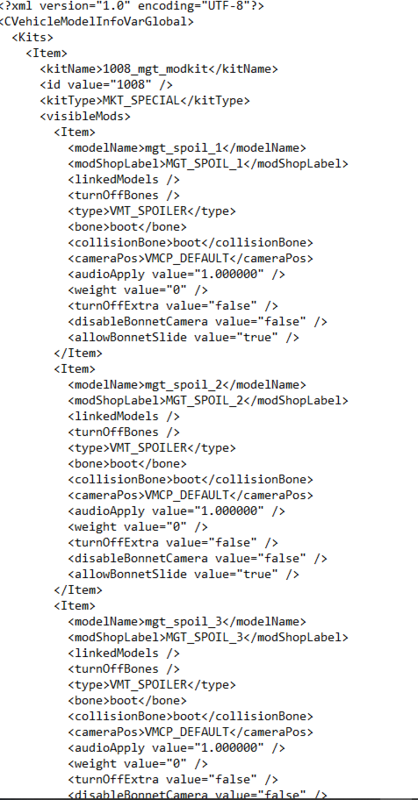 Not just specify what to use in the meta files. Well, if the meta files are correct they would be able to be added onto the vehicle. However, without showing any meta files you’re using I can’t really give more help than this. 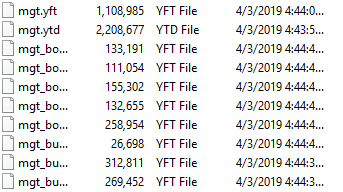 Those aren’t meta files, still unable to help. 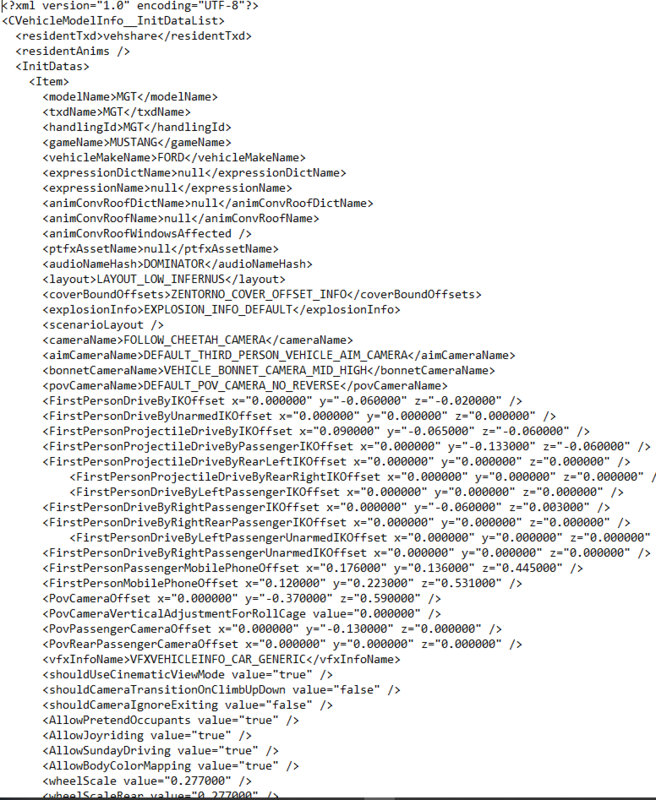 Please also show the full name of the file rather than just <6 characters. 1008 is not a valid modkit ID, these go up to 1000. It is recommended to start from 999 downwards. is there one that is good to work? I’d assume you’d have to have a different ID for each modkit.